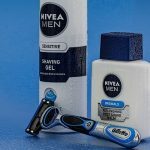 What Does Aftershave Do and Why Should I Always Use It? 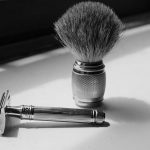 Home Shaving Tips What Does Aftershave Do and Why Should I Always Use It? 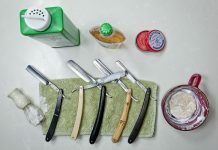 Aftershave is one of the most popular shaving products available. However, it’s also one of the most misunderstood. Many individuals may be wondering, what does aftershave do? Our article is going to answer this question by detailing its four main purposes. In addition, we will offer a few tips to help you pick the right aftershave for you. The first thing that we’re going to discuss in our article on what does aftershave do is its effects on your pores. As part of your pre-shave routine, it’s strongly recommended to use warm water to help your pores open up and to encourage the hair follicle to soften. 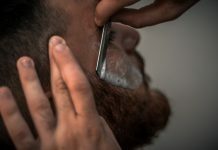 Ultimately, this results in a smoother shave and helps reduce shaving irritation by decreasing the number of passes necessary to achieve the desired cutting effect. However, leaving your pores open can result in irritation on its own. In addition, dirt and grime can fill your pores and lead to unsightly skin conditions like acne and blackheads. Whenever you apply aftershave, it causes your pores to constrict. By closing the opening, you prevent dirt and debris from entering. It also has the added benefit of improving your overall complexion and appearance. The ingredient in aftershave that is responsible for this beneficial role is called an astringent. The second thing that we are going to cover in our what does aftershave do article is how it helps sanitize your skin. 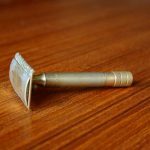 Whenever you shave with a razor, you are doing much more than simply removing the hair from the skin. You are also removing the top layer of skin as well. This top layer of skin is very prone to infection and can easily be harmed by a wide range of environmental contaminants. Fortunately, most aftershave products have an antimicrobial base like alcohol in them. While it may sting a bit, these types of ingredients help to wipe out any remaining bacteria that may be present on your face. 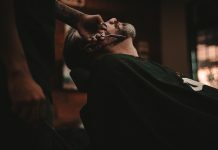 For best results, you should always avoid touching your face shortly after shaving. This allows time for the skin to close up. If you do have to touch your face, remember to wash your hands first to help reduce the spread of bacteria. The third thing that we are going to discuss in our what does aftershave do article is its impact on facial redness. 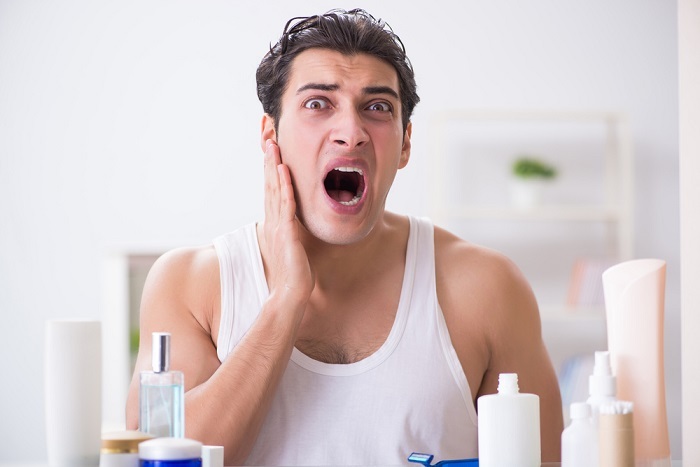 After shaving, it’s really common to experience some facial irritation. Individuals with sensitive skin and conditions like Rosacea tend to experience more facial redness than others after shaving. However, some aftershave products are designed to help reduce this. Many of these types of products include calming ingredients like chamomile and lavender that can help naturally reduce facial redness with continued use. Just remember to always apply them according to the manufacturer’s instructions and to consult a licensed dermatologist first if you have any known skin allergies. While strictly a cosmetic purpose, aftershave products come in a wide range of intoxicating scents as well. These fragrances can be used as a stand-alone cologne or to synergize with your other favorite scents. In most cases, aftershave scents tend to fade naturally within just a few hours. With this in mind, they are a great way to spruce yourself up each morning as you prepare for your day. By the time you get to work, the scent should just be noticeable enough to garner praise from your coworkers. Just remember that a little bit goes a long way. If you want a longer lasting scent, stick with aftershaves that contain a higher concentration of essential oils. The first and most important thing to consider before deciding on an aftershave is your skin’s sensitivity level. The vast majority of aftershave products contain an alcohol base. While this is excellent for disinfecting the skin’s surface, it tends to dry out skin the most and can be particularly irritating. A more mild option to stick with is aftershaves that use witch hazel instead. It still has great astringent properties and is much gentler on the skin. Aftershaves come in a wide range of formulations that are designed for specific skin types. For dry skin, it’s always best to stick with aftershaves that include high-quality humectants. 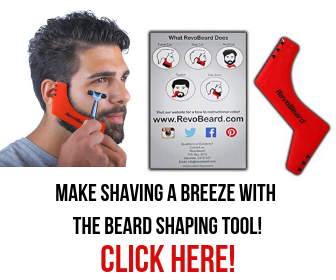 Combination skin tends to benefit from lighter aftershaves that contain thinner moisturizers. No matter what, you need to look for the words non-comedogenic to ensure that the product will not clog your pores. The decision to opt for a scented vs unscented aftershave completely boils down to personal taste. As mentioned previously, aftershave is not meant to replace your favorite cologne. Instead, it should complement it. Most aftershaves have a spicy scent that uses popular notes like cinnamon and sandalwood. More mild varieties tend to include light floral nights like lavender and vanilla. Aftershaves tend to come in cream and liquid varieties. Liquids tend to be much cheaper and tend to last a lot longer. They are generally less moisturizing and are designed to be applied quickly each morning. With the cream versions, they contain more moisturizing ingredients. However, they do take more time to apply and generally cost a bit more. One bonus to a lot of the cream varieties is that many of them include a low-level sunscreen. At this point, you should now know what does aftershave do. By using it each time you shave, you can take advantage of its antimicrobial properties and improve the texture and appearance of your skin. Remember to keep our tips in mind to help you find the best aftershave for your needs. If there are any other aftershave tips that you would like to share, tell us about them in the comments area. 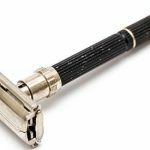 Previous articleWhy Pick Personna Blades For Your Safety Razor?